which style and tradition were elements to be discussed and explored. Inspired, she attended the State University of New York at New Paltz, earning her Masters of Fine Art in Metal in 2008. During her studio residency at the Museum of Arts and Design, Sarah began to explore a new direction in her work. The result is the Palimpsest Series. 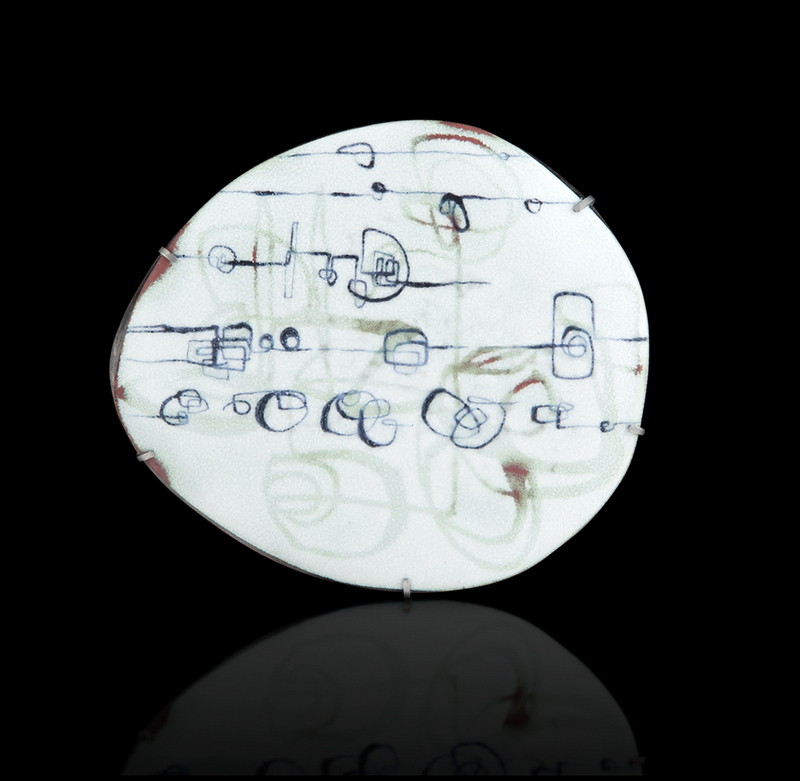 Combining enameling techniques such as Champlevé and painting enamel, Sarah builds overlapping patterns of gestural line drawings so that, within each brooch, one sees the echoes of previous images. Sarah has participated in jewelry exhibitions throughout the US and Florence, Italy. Her work is currently represented by Gallery Loupe in Montclair, New Jersey, Julie: Artisan’s Gallery in New York City, Galerie Marzee in Nijmenland, the Netherlands, and Galerie Noel Guyomarc’h in Montreal, Canada. Sarah’s work is included in the permanent collections of both the Museum of Arts and Design and Galerie Marzee as well as private collections. Her work has been published in The Compendium Finale of Contemporary Jewellery 2008 as well as 500 Enameled Objects. Sarah lives in Brooklyn, New York. She works on the Marketplace Integrity Online Support Team at Etsy, and makes jewelry in her studio.